Scan Optics manufactures ophthalmic equipment to help reduce preventable blindness throughout the world. Our equipment is unique, being sturdy, light weight and fully portable with high quality optics. Portability of our microscopes allows them to be used in more than single location. Our microscopes are easily maintained with well established procedures for maintenance in remote locations. They are protected against rust and mould which can be a particular problem for optical equipment in tropical environments. Uniquely our microscopes can be operated from mains power, from a generator or from a 12 volt battery cable and are therefore suitable for work in mobile eye clinics, hospitals and offices. Our product range includes ophthalmic microscopes, slit lamps, surgical lights and indirect ophthalmoscopes. Browse and see our products. Scan Optics product are registered with Food and Drug Administration, United States and with Therapeutic Goods Administration, Australia. 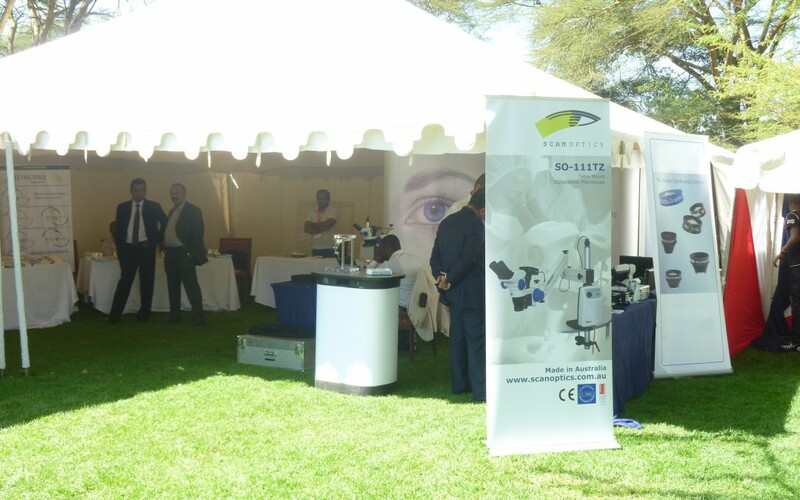 Gary Lowder, our technical engineer attended the Conference of the college of Ophthalmology of Eastern, Central and Southern Africa in Naivasha, Kenya.The conference was held over two days from 27th to 28th of August 2015.